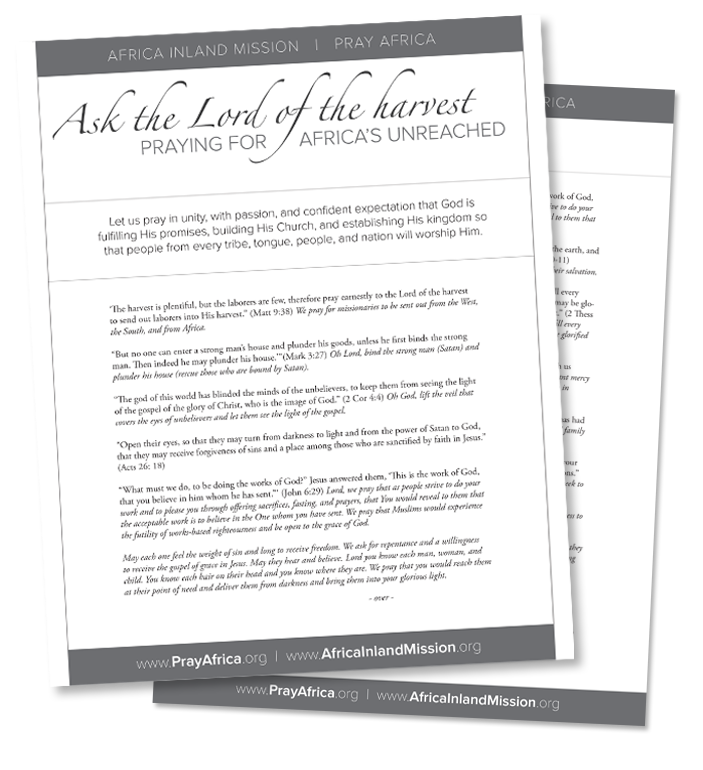 Ask the Lord of the Harvest is a 2-page printable prayer guide to help you incorporate Scripture as you pray for the unreached of Africa. Click here to download to your computer for printing, then keep it on hand as a resource to use as you pray. 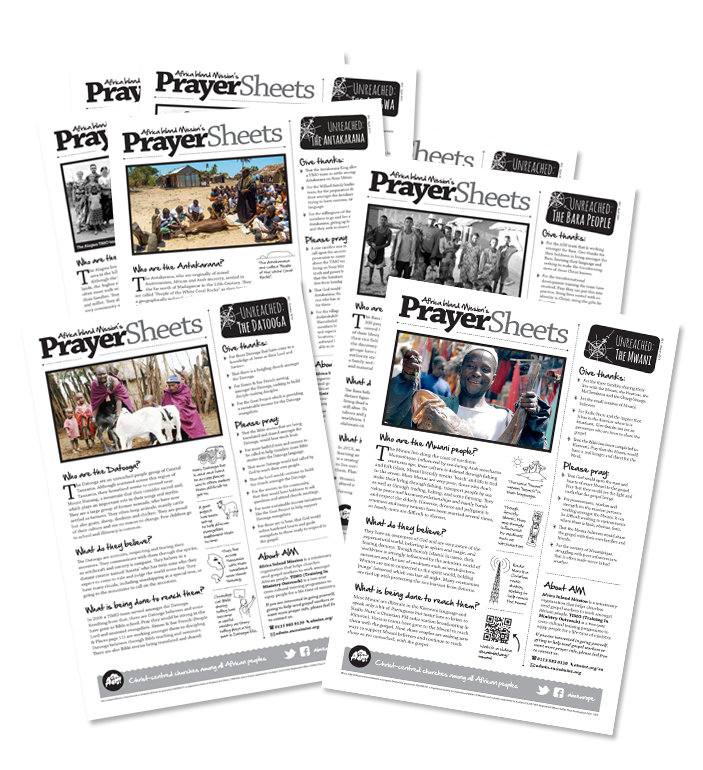 Africa Inland Mission’s Europe office has developed a beautiful series of Prayer Sheets for many of the people groups AIM is engaging or seeks to engage. You can download the full set here, or specific prayer sheets on the individual people group pages of this site.